Sexually transmitted infections (STIs)—or sexually transmitted diseases (STDs)—are no joke. However, STD testing and treatment doesn't have to be complicated. We want to make the process of finding clinics that have the STD tests you need as convenient for you as possible. Information like contact numbers, business hours, and more is available for many local facilities. The power to choose an STD clinic that's right for you has never been easier! As of 2015, the CDC estimates that 1.1 million people have HIV in the United States. The CDC also reports that 16% of new HIV diagnoses occurred in the Northeast in 2017. 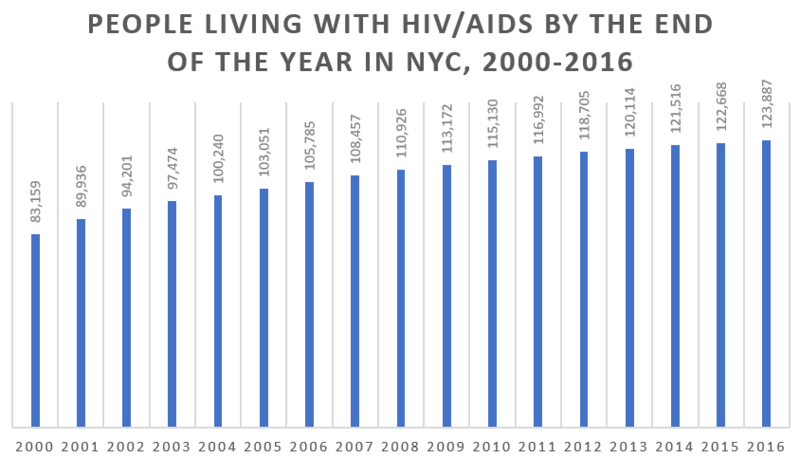 By the end of 2016, health officials estimated that 123,887 people were living with HIV/AIDS in NYC. Based on data as reported to NYC Department of Health and Mental Hygiene. Chlamydia and gonorrhea were two of the most common sexually transmitted diseases (STDs) in the United States of America in 2017. Did you know that the CDC reported 116,814 cases of chlamydia and 34,099 cases of gonorrhea in New York during that year? This means that New York ranked #9 for chlamydia and #21 for gonorrhea out of all 50 states based on the 2017 STD Surveillance Report's ranking methodology. Based on data reported by the CDC. STI means sexually transmitted infection. STD means sexually transmitted disease. They both refer to infections that you can contract from sexual activities. Tests & Pricing: How Much Does STD Testing Cost? Of course, if you visit a clinic and receive other services, your bills might be higher. Whether or not your health insurance covers certain tests, services, and/or doctor visits can also impact how much you will pay out of pocket for testing. Because prices can vary wildly, you can contact the place you plan to test at ahead of time to get an estimate for your costs as well as available payment options. The actual process for getting tested can be simple and quick. It all depends on the test (or tests) you take. For example, you can provide a urine sample for an STD test in minutes. You might even be able to complete other screenings and get results right there in the health center office. Rapid HIV testing, for instance, can take less than 20 minutes! Providing samples for other types of tests might take slightly longer. A syphilis test, for example, most commonly involves drawing blood at a health center. Ultimately, how long this process takes depends on the infections you test for and the testing methods you use. If you test positively for a sexually transmitted disease, you should receive further instructions on what to do next when you receive your diagnosis. This will involve speaking to a licensed medical professional about treatment and also reaching out to sexual partners you may have exposed as well. Brooklyn residents can get information on STDs, care, treatment, counseling, and more from their doctor, local and state public health departments, or the CDC, among other places.